This restaurant style shahi paneer will surely become your new favorite paneer curry at home. 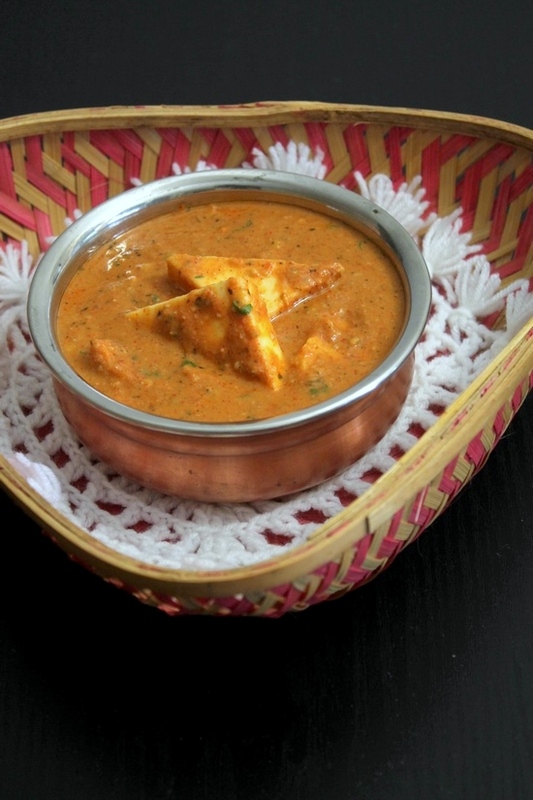 This Punjabi version of shahi paneer is very flavorful with aromatic, rich and creamy gravy. Here paneer cubes are simmered into the spiced onion, tomato gravy. Having guests over or small get-to-gather party? 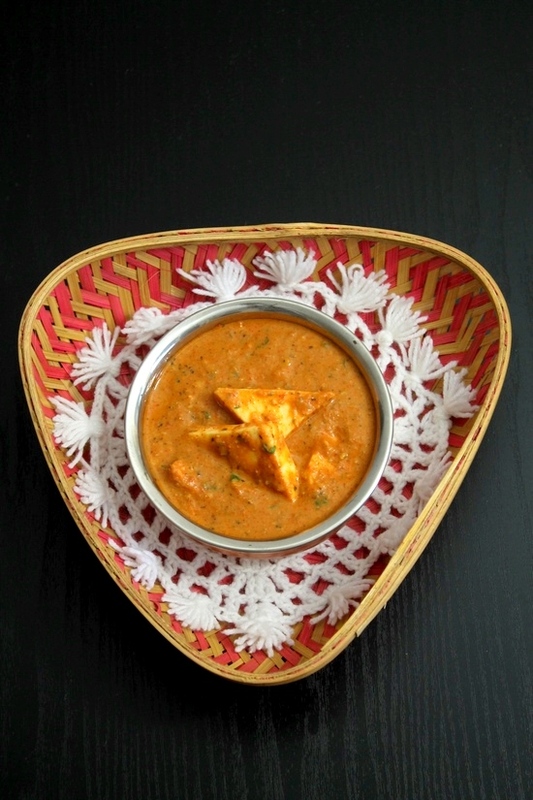 Try making this restaurant style shahi paneer recipe at home. Trust me it is very easy to make. You can make ahead of time and reheat at the time of serving. I am sure guests will enjoy it and will lick their fingers. Or it is not a bad idea to make for special occasion family dinner. This homemade is 100 times better than restaurant one. Mughalai shahi paneer – It has white gravy made from onion and yogurt. No tomatoes are added. Very less spices are used in the gravy hence it has mild yet tasty flavors. Punjabi shahi paneer – Of course inspired from mughalai version but with completely different taste. Tomatoes and spices are used in the gravy hence it has red-orangey color just like typical Punjabi gravy. 1)Soak the cashew nuts in warm water for 15-20 minutes. Meanwhile prep rest of the ingredients. 2) After soaking time grind into smooth paste and keep it aside. 3) Take onion, ginger, garlic, green chili, green cardamoms, cloves, cinnamon sticks in a pan. Add water and turn the heat on high. 4) Bring it to a boil. Once it starts boiling lover the heat to medium. 5) Let it simmer for 8-10 minutes or till onions get soft and translucent. Turn off the stove heat and let it cool slightly. 6) Then grind into smooth paste using grinder or blender. Remove it to a bowl. 7) In the same jar, puree the tomatoes and keep it aside. 8) Heat the oil in a pan on medium heat. Once hot add prepared onion paste and stir. 9) Cook till all the moisture evaporates, for about 4-5 minutes. 10) Then add tomato puree. 11) Mix and continue cooking. 12) Again cook till all the moisture evaporates and oil starts to ooze out from the sides. Do stir occasionally to make sure that it is not sticking to the bottom of the pan. 13) Add salt, red chili powder, coriander powder and black pepper powder. 14) Mix and cook for a minute. 15) Now add cashew paste. 17) Immediately add water otherwise it will start to stick the pan. 18) Mix well and let it simmer for 4-5 minutes. 19) Then add garam masala and kasoori methi. 21) Now add saffron strands and mix. 23) Mix and let it simmer for 2 minutes. Adjust the gravy consistency at this time if needed. 25) Mix and let come to a simmer. Then turn off the stove. 26) Add cardamom powder. NOTE: we are adding cardamom powder at the end so it retains its aroma and keeps the dish aromatic at the time of serving. 27) Also sprinkle chopped cilantro. 28) Stir and curry is ready to serve. Make this in your kitchen and Enjoy!! 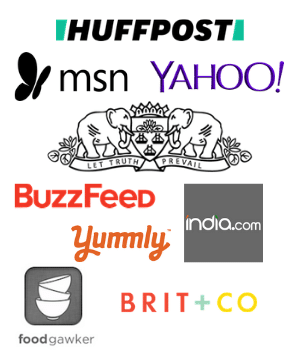 Don’t forget to share your feedback in comments below. I would love to hear. What to serve with shahi paneer? Tastes best with naan, garlic naan, paratha or tandoori roti. Have onion lachha and salted lassi on the side. It can be served with plain basmati rice or jeera rice. This is restaurant style Punjabi shahi paneer recipe. It is creamy, rich with aromatic and delicious gravy. Soak the cashew nuts in a warm water for at least 15 minutes. meanwhile prep other ingredients. After 15 minutes make smooth paste out of it and keep it aside. Take all the paste ingredients in a pan. Add water, turn the heat on high. Bring to a boil. Once it starts boiling lower the heat to medium. Let it simmer for 8-10 minutes or till onions get soft and translucent. Turn off the stove and let it cool down slightly. Once it is cooled, make smooth paste out of it using blender or grinder. Also puree the tomatoes in the same grinder. Heat the oil in a pan on medium heat. Once hot add prepared onion paste. Cook till moisture evaporates, about 4-5 minutes. Then add tomato puree. Stir well and let it cook. Cook till all the moisture evaporates and oil starts to ooze out from the sides. Do stir in between. Add salt, black pepper powder, red chili powder and coriander powder. Now add cashew nut paste and mix. Immediately add water, otherwise it starts to stick to the pan because of the cashew paste. Stir well and let it simmer for 4-5 minutes. Then mix in garam masala and crushed kasoori methi. Now add saffron strands and stir. Add paneer pieces. Mix well and let it simmer for 2 minutes. Adjust the gravy consistency at this time if needed. Add heavy cream. Mix and bring to a boil. Then turn off the stove. Add cardamom powder and sprinkle chopped coriander leaves.